CHIREC International actively encourages students to explore new skills and develop fresh attitudes that will enable them to thrive in the global community. Through our innovative programs, students leverage the resources they are given to express whats on their mind and to explore novel ideas. In these programs, students are taught to take initiative, show good judgement, and make smart decisions. Model United Nations, also known as Model UN or MUN, is an extracurricular activity in which students typically roleplay delegates to the United Nations and simulate UN committees. Model UN motivates students to learn about world issues, and helps build confidence, leadership and diplomacy skills. 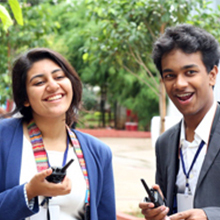 CHIREC organizes MUN and JMUN (Junior MUN) conferences every year, and schools from all over Hyderabad register and contribute to the discussions. CHIREC offers Robotics as an integrated subject for Classes 6, 7 and 8. STEM (Science, technology, Engineering and Mathematics) education is essential to preparing students for today’s world of non-stop innovation. Through the integrated Robotics curriculum, students will learn more than just programming. They will also cultivate skills such as leadership, teamwork and interacting with different technology platforms. CHIREC collaborates with Kiddogardener to promote Urban ECO Lab, a smart way to urban gardening and terrace top cultivation. 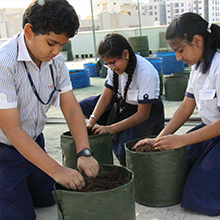 As a part of this collaboration, students engage in events that empower them to grow their own vegetables through fun, organical means and to learn more about the Urban eco-system they live in. 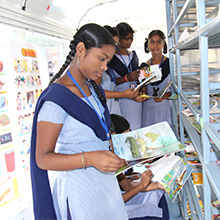 CHIREC International’s new student led social initiative will travel to different government schools around the city bringing works of literature in different languages to those who may not have easy access to libraries and book stores. Students will be able to browse, borrow and return books as well as have access to study and educational materials. 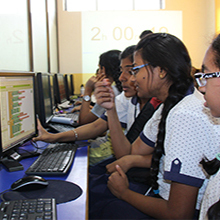 Girls Code Camp is an alumni-led social venture to bridge the gender disparity in computer science and empower young women, through technology, to be confident in their abilities to code and to use technology to foster change. 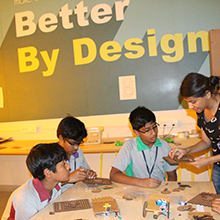 An initiative by CHIREC alums, Better by Design is a course that walks students from Grades 5 to 9 through Stanford’s Design Thinking methodology, to enable them to come up with innovative ideas to solve problems and bring these ideas to life in a state of the art innovation lab.